"Hi, I use iPhone 7 and started upgrading it yesterday to the latest iOS. Today I noticed that my iPhone can't play the custom ringtones in iOS 11. I am unable to set a custom ringtone for specific contacts. I set different custom ringtones for my family members. Now these ringtones all become the default one instead of the particular ringtone I set for them when they call me. Please help me if you have any suggestions! Installation of a new iOS is not always a smooth process, there are some issues that come while installing or after the process is complete. Regrading the problem this user has met, we found some other iPhone users also complained that they can't set a song as the default ringtone for all coming calls. If iPhone won't play personalized ringtones in iOS 11, you can follow the troubleshooting steps below that we have gathered for you. If iPhone won't play personalized ringtones in iOS 11, downloading the purchased ringtones again can help you. Here are the steps for doing this. Go to "Settings" in your device. After this, tap on one of the sounds in the list. You will found an option of "Download All Purchased Tones" if you have purchased the ringtones in the past. Tap on it to re-download all those ringtones via your Apple ID. They are now available at "Settings" > "Sounds & Haptics" and you can set those as your ringtones or mail alert etc. When done with the first fix and got no help, make sure to force quit the Phone app and the Settings app. 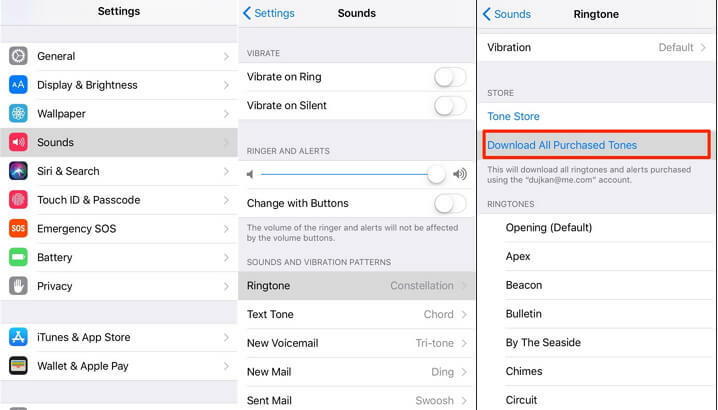 This way may help you if iPhone can't play custom ringtones in iOS 11. The steps are given below. Click the Home button twice to get the recently used apps on the screen. Now, you need to find the apps you want to force quit. For this, swipe left or right to get the correct app. In the last, swipe the app up when you found the app and close it. 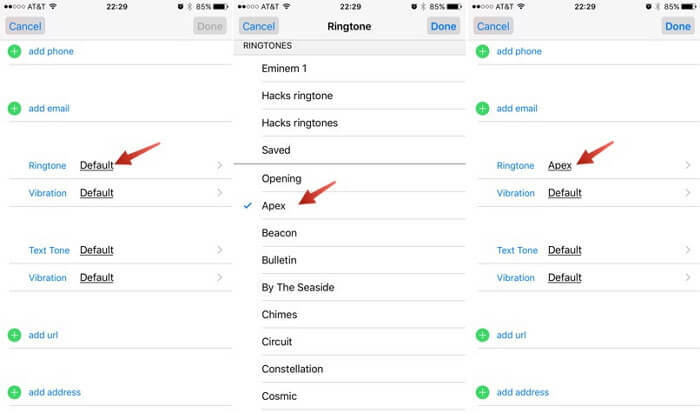 Try to change the ringtone you have assigned to a particular contact if your iPhone won't play custom ringtones in iOS 11. Go along the steps listed below to perform this method. Tap the Phone app and open the Contacts list. Choose one name to customize it. Tap on "Edit" button on the screen. Now, click "Ringtone" and select the preferred ringtone from the list of ringtones. Lastly, tap on the "Save" or "Done" button to complete the process. Try resetting all your settings if your iPhone can't play custom ringtones in iOS 11. Here are the steps to perform this method. Open "Settings" in your iPhone and go to "General". 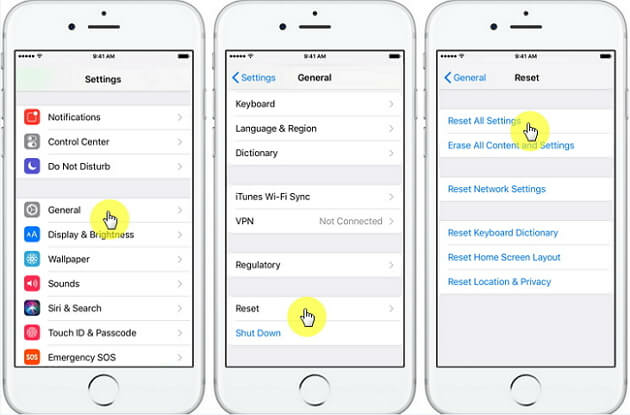 Now, tap on "Reset" followed by "Reset All Settings"
Enter your passcode on asking and then again tap "Reset All Settings" to confirm the action. If all the above explanations didn’t work unfortunately, chances are that there is some iOS issue that is bothering you and your device. For this, we recommend you iMyFone D-Back which is a popular and powerful data recovery tool and is completely compatible with iOS 11. The tool has a special feature namely "Fix iOS System" which is capable of fixing different iOS issues perfectly. 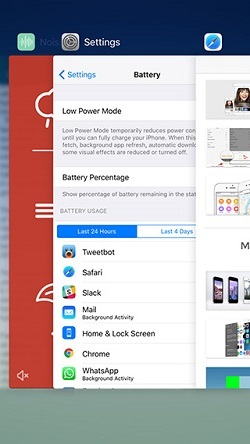 The tool is trusted by millions of users and media sites like Macworld and Makeuseof. .
iMyFone D-Back is able to recover more than 20 types of data like WhatsApp, messages, contacts, notes, photos from your device or iTunes/iCloud backup. The "Fix iOS System" has three different modes for different problems. 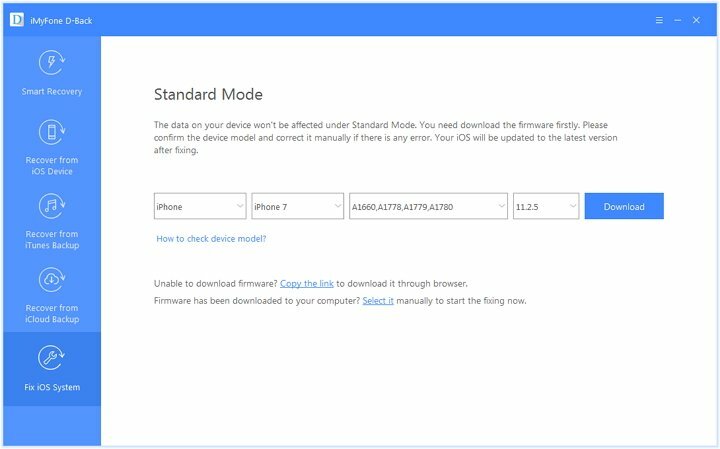 They are "Standard Mode", "Exit Recovery Mode" and "Advanced Mode". 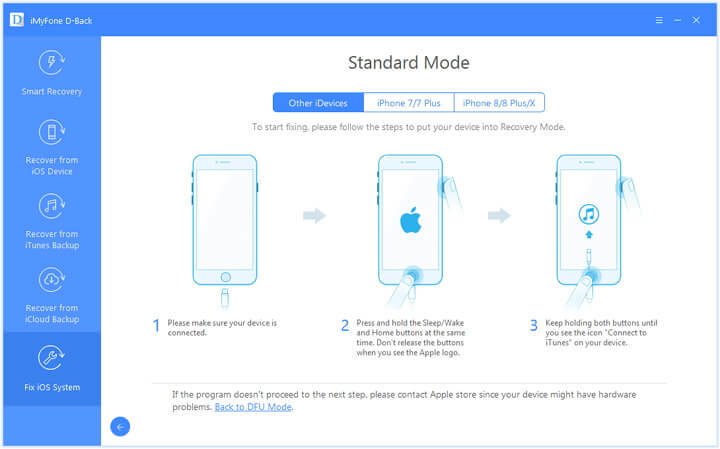 One can recover any iOS issue with "Standard Mode" and that too without any data loss. The tool is fully easy to use and even a non-tech savvy can use it without complication. If you want to fix touch ID not working, please check this post. If you want to fix WiFi grayed out problem, please check this post. If you want to fix iTunes errors like error code 4013, please check this post. Step 1 – Launch iMyFone D-Back and click on "Fix iOS System". 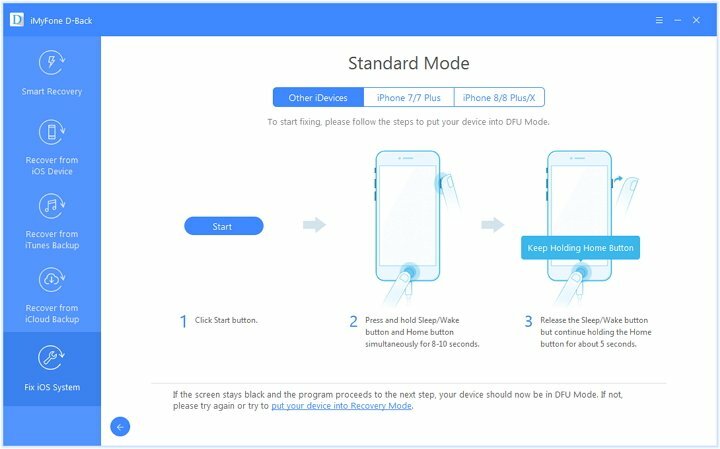 Now connect your device to the PC and choose "Standard Mode"
Step 2 – Tap on "Start" button and go for the process of putting your device into the DFU mode. Step 3 – Now, your device will be detected by iMyFone D-Back and you need to press the "Download" button. The program will automatically give you the latest and suitable firmware. Step 4 – Now, in the end, click on "Start to Fix" button and the program will start fixing your device and the issue. Those were some of the fixes that you need to try when your iPhone won't play personalized ringtones in iOS 11. We hope that your device is now able to play custom ringtones and you are happy using your device. You can tell us your experience in the comments section. Also, if you have any more problems, feel free to drop a comment and we will be there to help you out.